Not all little girls grow up wearing princess dresses, tutus, and ribbons in their hair. Some girls would rather wear cleats than heels, and play defense instead of having a tea party. Some of us grew up dreaming of being on the court or on the field, hearing the crowd cheer us on. We would rather be competing than sitting in the stands or watching from the sidelines. Participating in a sports program when we are young teaches us teamwork, the importance of practice, and instills a confidence that comes with knowing that you did your best, win or lose. 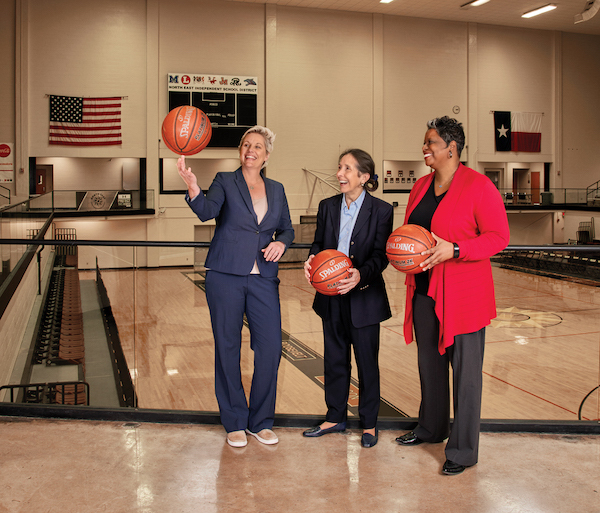 When most people use the phrase, “You play like a girl,” it is not normally meant to be a compliment, but for three remarkable San Antonio women, this comment will be welcomed with a smile and a sense of pride. When your dad is the head umpire in a small Texas town, it is only natural to follow in his athletic footsteps, and that is exactly what Jenny Carnes has done. Growing up in Uvalde, Carnes grew to love sports. She would play pick up games with the boys around her, including her brother, and became quite competitive. She played baseball and volleyball, but her strongest sports were basketball and tennis. In fact, Carnes earned a basketball scholarship to the University of the Incarnate Word and has called San Antonio her home ever since. Youth sports, along with her parents’ strong athletic influence, taught her how to balance the physical with the mental, and she thrived in the college environment. This led her to take a chance when her roommate, a key member of the university tennis team, injured her ankle and suggested that Carnes contact the coach about becoming a member of the team to fill in for her. 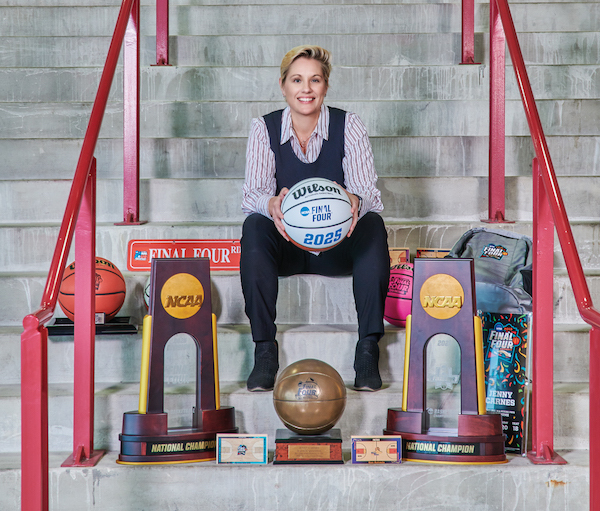 With her natural athletic ability and experience playing tennis in high school, she walked on to the team and played all four years while carrying a full academic load, earning her degree in Business Administration, and ultimately becoming the university’s first-ever basketball All American in 1999. Most college graduates don’t find their dream jobs right out of school. Most of us must pay our dues, work jobs that have nothing to do with our areas of study, or even work two or more menial jobs until we can find that first “real” job that allows us to embark upon our desired career. Some may say that Jenny Carnes got lucky, landing her dream job as early as she did, but those that know her know she positioned herself precisely and worked very hard as a young intern, and it all paid off. Starting her career with San Antonio Sports, formerly the San Antonio Sports Foundation, Carnes did whatever it took to become invaluable to the organization. She helped to build the Sports Tourism division, and throughout her nearly 20-year tenure with the organization, Carnes has been instrumental in bringing six regional NCAA tournaments and five Final Four events to San Antonio. Last year, the Men’s Final Four basketball tournament brought 145,000 people to the Alamo City over three days. Carnes and her team worked tirelessly to make sure that every single detail was taken care of; from handling the visiting media, dignitaries, volunteers and team personnel, to coordinating the concerts, fan experiences and multiple venue events that take place over the exciting, and activity-filled weekend. The bid process to secure a Final Four tournament can sometimes take up to five years, and a city cannot bid for future events in the same year that they are hosting the event. It is an arduous process with endless red tape, but Carnes and her amazing team at San Antonio Sports have already been hard at work planning the 2021 Women’s Final Four, along with the 2025 Men’s Final Four events. Mother to two little girls, Carnes is already preparing her daughters to compete in this world, trying out a variety of youth sports, so they can discover their own strengths. Carnes loves to ski and becomes “an incredibly unpleasant person” if she doesn’t get to hit the slopes at least once a year. Growing up an athlete has taught her the value of working hard toward a goal that benefits the team, and the city of San Antonio is blessed to have such an amazing team leader to take us into U.S. sports history. Imposing. Confident. Assertive. These are the words that come to mind when you meet Shantel Wilkins for the first time. Always taller than the other kids her age, Shantel spent the early part of her childhood just trying to make sense of, and survive her circumstances. Her mother had her when she was only 17 years old and raised Shantel, and her two brothers, as a single parent, with limited resources. Shantel was shy and insecure, having been sexually abused by her stepfather as a young girl, but her entire outlook on life changed when she met Tina Powers, her middle school basketball coach. She was recruited to play because of her height, but Coach Powers saw something special in Shantel and set out to help her become the strong and confident woman that she is today. Wilkins worked hard, spending summers training with Coach Powers and played pick up basketball with the boys in the neighborhood every chance that she got. These formative years taught her to be tenacious and tough, as she worked to set a good example for her younger brothers and to not become just another statistic based on her circumstances. Coach Powers followed Shantel’s progress through high school and eventually became her basketball coach again in her senior year at Westwood High School in Austin. Her hard work, and Powers’ great coaching, led to several college scholarship offers including Concordia University and the University of Mary Hardin Baylor, but she chose to study Communication Arts and play for the University of the Incarnate Word. She wanted to study at a smaller university that wouldn’t be overwhelming, as she really didn’t have a road map to where she wanted her life to take her. 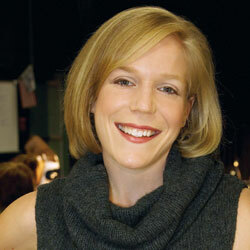 Shantel worked hard after college, and became the P.R. 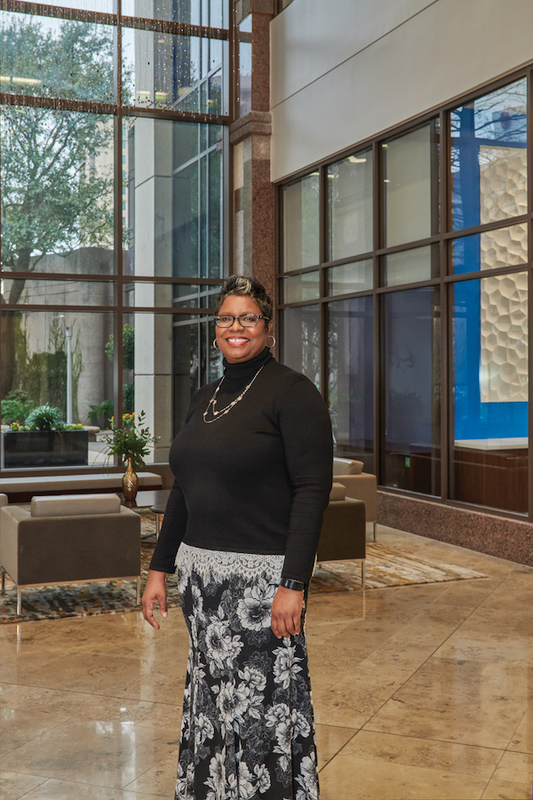 assistant to Representative McClendon before moving on to work with the Girl Scouts of America, the San Antonio River Authority, and then to Boeing, where she held the position as the Global Corporate Citizenship Community Investor for 11 years. 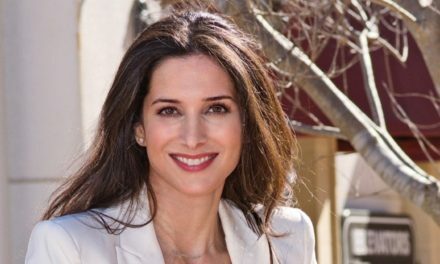 Her career then led her to become a Senior Vice President and Philanthropic Client Manager for Bank of America, before recently joining the team at the Kronkosky Charitable Foundation. Today, she serves as the Deputy Managing Director, responsible for helping to decide where foundation funds can best serve the San Antonio community and surrounding areas. Wilkins is an advocate for girls of color, and hopes that her example will inspire young ladies to rise above their circumstances to find their paths in life and strive to live their best lives. She has been an inspiration to her family as well. Both of her brothers became athletes and one of them even had a career in the NFL, playing on Special Teams under Coach Mac Brown at UT Austin, and then for the Green Bay Packers, the Cincinnati Bengals and the Atlanta Falcons. Her mother was also inspired to go to college where she earned her Bachelor’s degree, and eventually her Master’s degree. 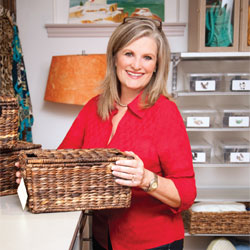 She still lives in Austin and owns her own business. Shantel has a son, who is already showing signs of becoming an athlete, with his mother’s intense competitive spirit. She is an elegant and intelligent force to be reckoned with, and will hopefully have the opportunity to inspire the lives of many young ladies for years to come. Over the years, there have been several studies that show that successful women in business have one thing in common: most of them have played competitive sports at some time in their lives. This should not be surprising. Many little girls are not taught from an early age to be tough, or that they can compete on the same level as boys. Some girls grow up believing this to be true, but some girls grab a bat, or a ball, or dive in to compete, and grow up to be strong and successful individuals, business leaders and trailblazers. 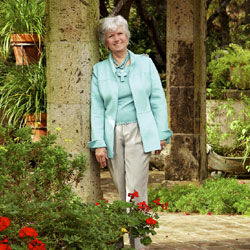 Such is the story of Cyndi Taylor Krier, one of San Antonio’s most successful and influential women today. Growing up in George West, Texas, Cyndi Taylor’s grandmother did not approve of little girls playing sports with the boys, and she certainly didn’t think it was appropriate for her granddaughter to play basketball. However, Cyndi found her place on the court in middle school and a sense of comradery and sisterhood that she didn’t have at home. Cyndi stretched her talents playing volleyball, tennis, track, and softball, but it was on the basketball court where she reshaped her way of thinking. Sports allowed her to grow from a “mousy little girl” to a strong and confident young woman. Following high school and several successful basketball seasons, Cyndi moved to San Antonio to attend Trinity University and San Antonio College, before transferring and graduating from UT Austin with a journalism degree. She went on to earn her law degree from there as well and began her illustrious career in Washington, D.C. as a White House intern under the Nixon and Ford administrations. Krier also worked for U.S. Senator John Tower (R-Texas) and then moved back to Texas to run his Houston office, before moving home to San Antonio to begin her own political career. In 1985, Cyndi Taylor Krier became the first woman elected to represent Bexar County in the Texas State Senate. She held this office until 1992 and served on numerous Senate committees throughout her career. She even received the Texas Bar Foundation award for her help in developing and passing the Texas Alternative Dispute Resolution Act. This legislation has led to the resolution of hundreds of thousands of lawsuits through litigation, in less time and at less cost to litigants and taxpayers. From 1992 to 2001, Cyndi served as a Bexar County Judge, where she helped to oversee millions of dollars in budgets that affected county employees as well as public programs. Upon leaving office, she was honored with the naming of the Cyndi Taylor Krier Juvenile Correctional Treatment Center. For the past 20 years, Cyndi has held numerous prestigious positions with the University of Texas system, and USAA, as well as running her own law practice. Today, Cyndi and her husband, Joe Krier, run Krier Consulting Group, Inc., which focuses on helping public and private sector entities “work better together by understanding each other’s perspectives” to resolve conflict and achieve similar goals. She is still practicing teamwork and teaching others to do the same. 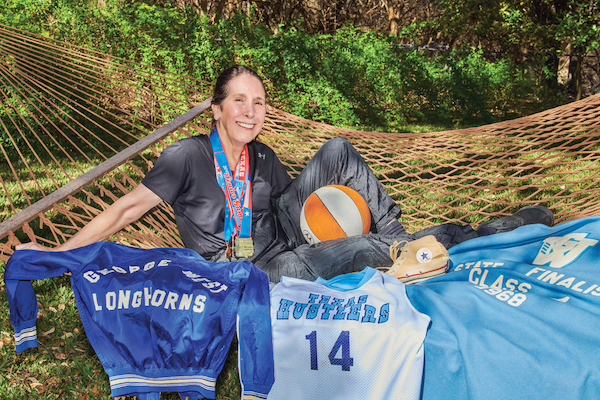 She has played in the Senior Games since turning 50 and serves on the board of San Antonio Sports, where she believes in their goal of creating opportunities for San Antonio youth through sports. Krier is one amazing lady, and she continues to inspire other women with her story, her experience, and a philosophy that has made her successful. In a world that just gets more competitive every day, having a strong foundation as a woman is essential when embarking upon a chosen career path, and sometimes the opportunities to build and strengthen our character when we are young aren’t very clear. Participating in youth sports is one way that is proven to do this. On a team, we cannot only focus on ourselves. We must direct our focus and our energies on what is best for the team, and this philosophy will also carry over, and manifest its success, in the professional arena. Very few endeavors and organizations will find success at the hands of just one individual. They say that it takes a village, but sometimes it just takes an individual’s dedication to the goals of a great team.